To try and figure out why this might be happening, I fired up Charles and watched the requests to the server. 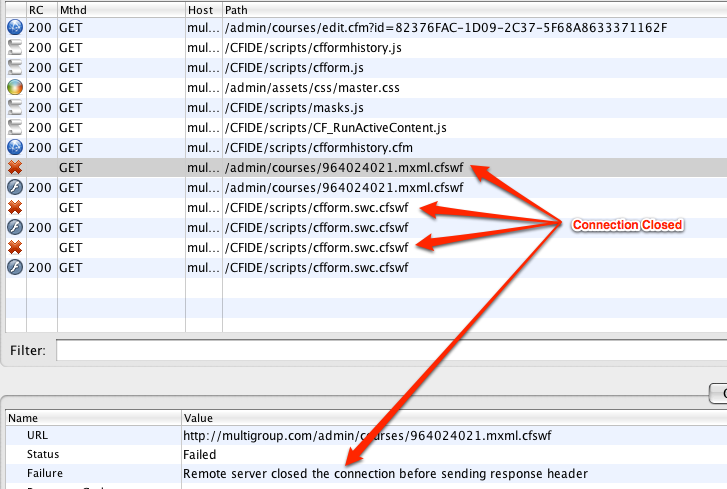 As you can see in the screenshot below, the .js files receive 200 responses showing that they're good to go, but the cfswf requests are getting "connection closed" errors, and then 200 requests. The cfswf requests are obviously finishing correctly, or I wouldn't see the flash form at all. 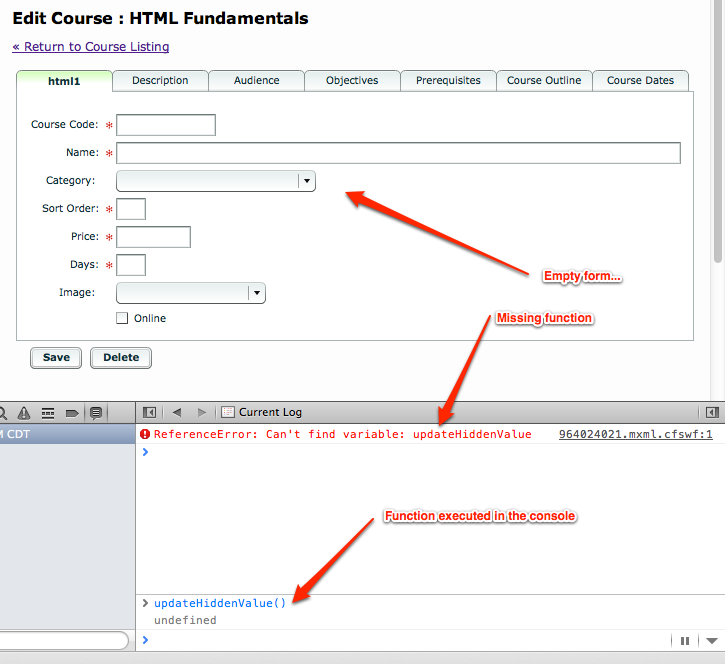 So I need to figure out why I'm getting these .js errors so I can get this flash form workng. I can only assume that the error is originating from the flash side of things or via Flash Remoting (? ), I just have no idea how to debug this issue and get things moving forward. I occurred with the same error while i was developing one application . You might be declaring some other script before this which will bring conflict . Comment all others and try again . Mine was resolved by doing this hit an trial method . I commented all scripts run my application , it worked out . Not the answer you're looking for? Browse other questions tagged flash coldfusion coldfusion-9 or ask your own question.